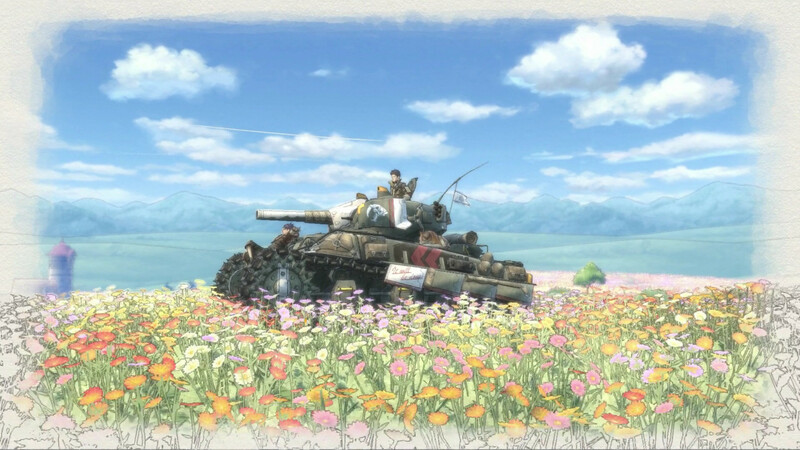 Valkyria Chronicles was more than just a great RPG when it first came out more than a decade ago: it was one of the few bright spots in an otherwise bleak period for Japanese video games. More than that, it made maximum use of the still-novel high-definition graphics. In that sense, it's easy to remember Valkyria Chronicles with rose-colored glasses. That makes this review of Valkyria Chronicles 4 something of a referendum on the legacy of the original game. Did we love it simply because it was one of the first truly beautiful JRPGs in HD? Were its strengths more than skin deep? Happily for fans of the series, Valkyria Chronicles 4 is proof that, yes, the original does still hold up. It returns to the tactics formula that helped to popularize the series, this time shifting the spotlight to a crew of professional soldiers fighting for the Federation, and it's beautiful as ever. Playing on the Nintendo Switch, I was struck by what a great fit it is for the platform, its watercolor graphics springing to life on the handheld's beautiful screen. It will never match the surprise and delight of playing the original for the first time, but it stands up perfectly well on its own. As before, you command a squadron of scouts, snipers, and heavy artillery, all with their own relative strengths and weaknesses. The action is turn-based, with each soldier being granted an action bar that drains as they move. The hero of the tale is Claude Wallace, the cautious commander of Squad E who is occasionally referred to by the derisive nickname "Scaredy-Claude." Fighting at his side are the hot-blooded Raz, the cool sniper Kai, and Claude's childhood friend Riley, who are there to provide emotional support and the odd bit of humor. 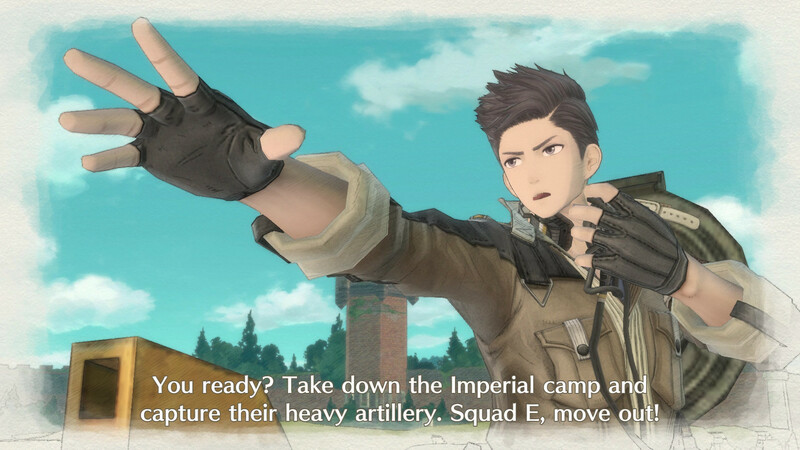 Claude is also aided by numerous other soldiers under his command, who are generally silent, but will occasionally get a chance to shine through Squad Stories that unlock after satisfying certain conditions. These soldiers, as always, are one of Valkyria Chronicles' biggest strengths, their personalities shining through with traits like "Nature Lover" and "Darcsen Hater" (some of them are really racist). The story picks up around the same period as the original game, opening with a massive invasion of the autocratic Empire that is soon bogged down in an unfortunate turn of the weather. What was previously a triumphant campaign soon becomes a fight for survival, particularly when the Empire begins deploying its secret weapons. As always, the story beats, characters, and humor are all pretty typical for anime. There's a whole flashback sequence that revolves around trying to hide a character's gender. One of the major villains waxes on about his obsession with Claude. There are two spooky female supersoldiers who, of course, are treated as living dolls by the Empire. And unfortunately, as our sister site VG247 highlights, there are perv scenes featuring Raz that don't translate too well in the MeToo era. Of course, Valkyria Chronicles' anime sensibilities are also a good part of its charm. It plays out very much like a TV show, with each chapter serving as an individual episode, and there are lots of little vignettes and individual moments that wind up endearing you to the cast. As with the original game, the scenes are laid out like a scrapbook, further giving you the feeling that you're living out the memories of Squad E.
The presentation does a lot to elevate the storytelling in this instance. Still, it's hard to call Valkyria Chronicles 4's story anything more than average. 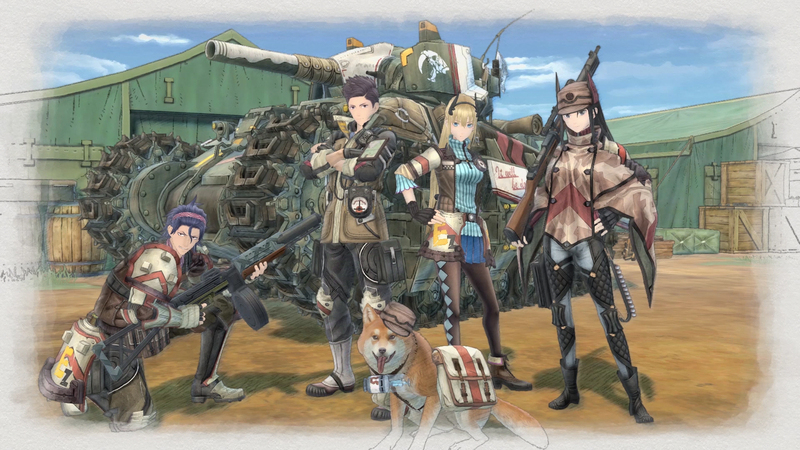 Where the original game had you rooting for its heroes, civilians unexpectedly thrust into war after their home country is invaded, Valkyria Chronicles 4's cast of professional soldiers fall more readily into well-worn anime tropes. Where Valkyria Chronicles 4 stands out, ultimately, is its tactics. It's not so different from the original game, but it does add a lot of crucial refinements. In particular, weather is a big part of what separates Valkyria Chronicles 4 from its predecessors. Environmental hazards are numerous, including avalanches, blizzards, and other dangers that have the potential to block your way, or even kill your soldiers before you can get to them. On Claude's side, new weapons and abilities help to offset the dangers of the frozen tundra. Squad E has access to APCs that can rapidly and safely transport personnel; the abililty to command soldiers to follow a leader without using up movement points, and even a landship that can detect and bombard opponents from afar. Squad E's most powerful asset by far though, is the new artillery class, which is capable of bombarding and instantly defeating soldiers at great distances. You'll need to use every asset at your disposal, because, like the original Valkyria Chronicles, the sequel is often very difficult. Even content to bulldoze through and not worry too much about my final ranking, I still had to restart maps somewhat regularly. Later maps play out like puzzles, forcing you to think hard about how you maneuver and position your troops. Trying to blast through your opponents will invariably get a lot of your soldiers killed. I'll admit that I've never been a big fan of the "one true path" approach to tactics, as I discussed in my look at Into the Breach earlier this year. 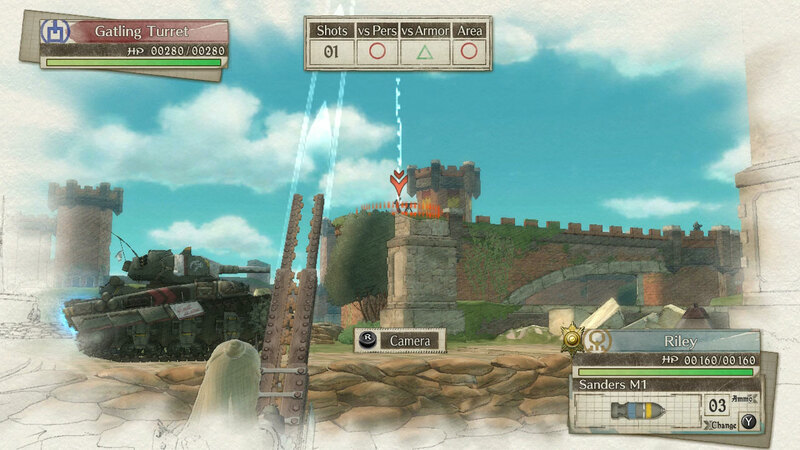 I prefer games with some tactical flexibility, which Valkyria Chronicles doesn't always offer. But I've come around a bit to Sega's approach since I've loosened up about the score. It can be exhausting at times to go through the trial and error of beating a map, but it can be really satisfying to figure it out and see the battlefield start to unlock in front of you. 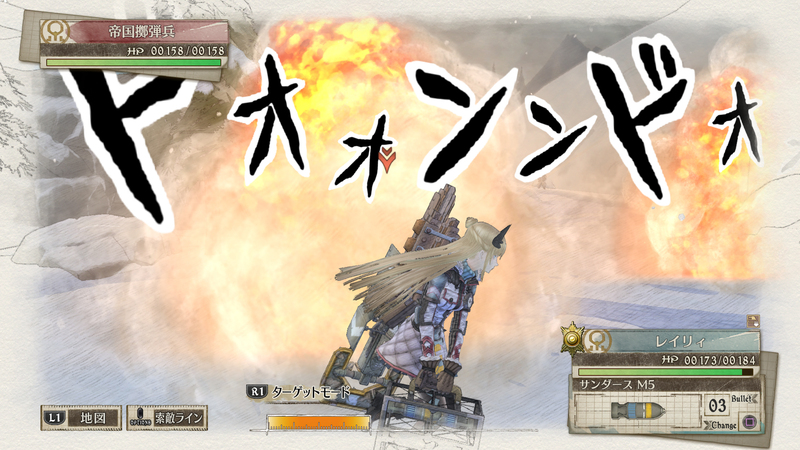 Success in Valkyria Chronicles 4 frequently comes down to good scouting, the right unit composition, and a certain degree of caution. Sometimes you need the raw power of Shocktroopers, sometimes you need the mobility of your Scouts, and sometimes you just need to mow down foes with your tanks. Artillery units are always useful, as they are needed to knockout static emplacements and deal with troublesome Shocktroopers from afar, but even they aren't perfect, as Lancers can easily resist their blasts. Sadly, another component of success in Valkyria Chronicles 4 is abusing its often woeful A.I. In one mission featuring the aforementioned supersoldiers, I found the best solution was to move Claude's tank to one side and let them attack it uselessly while I crushed them with mortar fire. It's all too easy to bait enemies into a kill zone, destroying them with interception fire as they make for a distant target. The East Europan Empire apparently doesn't train its soldiers particularly well. One more tiny irritation: Customization and character growth is still much the same before, and it takes forever. I came to dread my trips to headquarters, as it invariably involved sitting through unskippable conversations to get new orders; clicking through agonizingly slow menus to upgrade my guns, and waiting for training bars to fill. The character customization is one area where Valkyria Chronicles 4 could stand to leave behind the fancy presentation and just cut to the chase. These misgivings aside, Valkyria Chronicles 4 has a lot to offer. It's a big, attractive tactics RPGs that can take up to 65 hours to complete if you do all the side missions. Its cast is just different enough from the original to give the story a different tone, and it adds interesting new elements like weather to the solid gameplay of the original. Best of all, it doesn't suffer too much on the Switch's handheld screen, which is where it's best enjoyed. It's a pretty solid revival all things considered, and proof that, yes, the original was a very good game irrespective of its amazing graphics. If this is the start of something new though, I hope Sega will find new and interesting directions to take the story. At this point the Second Europan War and the Empire are pretty much played out. Is there a new enemy to face? Can Valkyria Chronicles go all Zeta Gundam and have former heroes and villains alike team up to fight a tyrannical Federation? 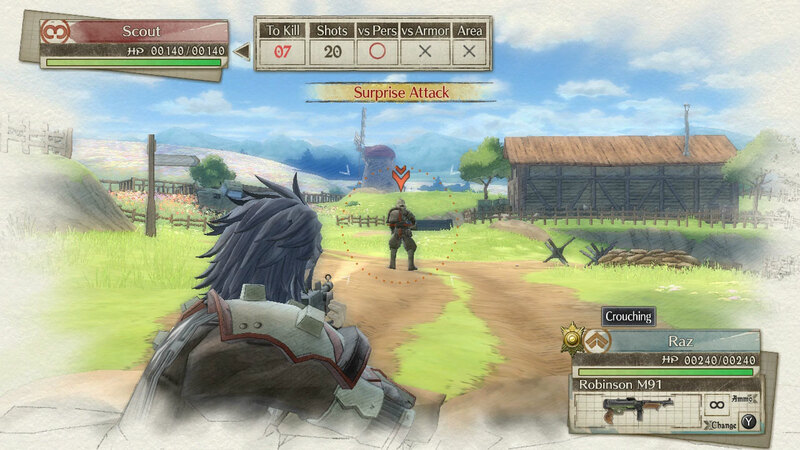 With Valkyria Chronicles finally making a proper return, I'm eager to see what's next for the series. But in the meantime, it's good to be back on the anime battlefield. Valkyria Chronicles 4's cel-shaded graphics look sharp as ever on the Nintendo Switch, and the tactics provide a sturdy challenge over the course of more than 60 hours of gameplay. Alas, the cast and the story don't quite measure up to the original. If this is indeed a true revival for Valkyria Chronicles, I hope the next entry finds a new and interesting spin on the somewhat tired Second Europan War. Tagged with PC,	PlayStation 4,	Reviews,	Role Playing Games,	Sega,	Switch,	Valkyria Chronicles 4,	Xbox One.